JIM MAHFOOD (Tank Girl, Clerks) debuts his first new creator-owned work in years with the glorious return of GRRL SCOUTS! Join Gwen, Daphne, and Rita as they reunite for a pulse-pounding psychedelic adventure through the streets of Freak City. This first issue is stuffed to the gills with an action-packed story, bonus art, soundtrack, sketchbook, and a behind-the-scenes comic thingy. 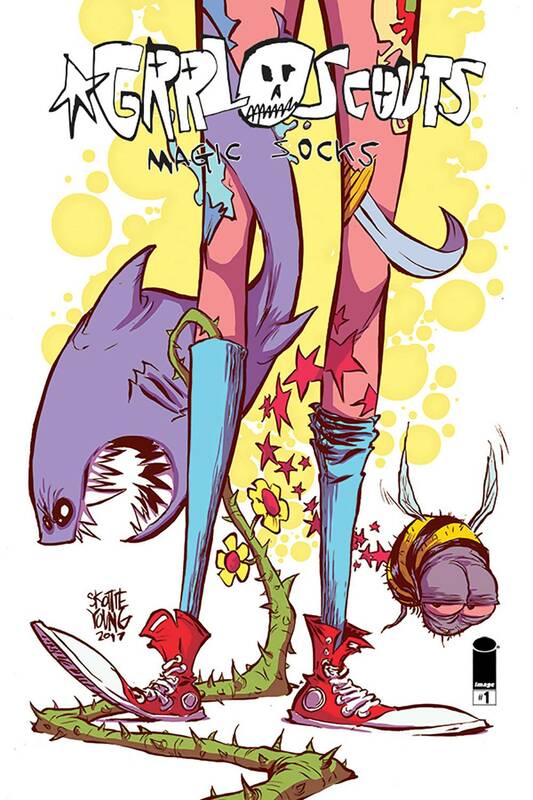 Plus, a variant cover by the one and only SKOTTIE YOUNG! Pure fun! Pure flavor!